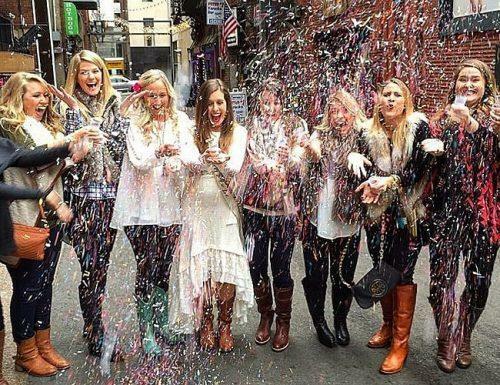 Planning a bachelorette party is a lot of fun and a lot of work. From activities and gift bags to bachelorette party songs and bachelorette party games, there are so many details to plan! 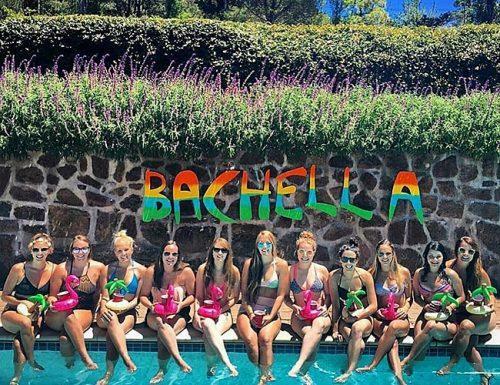 You want every aspect of the bachelorette party to be amazing as it is the bride’s last night out with her girlfriends as a single woman. If you are struggling with bachelorette party ideas and songs, you are not alone. Of course, you want to do everything you can to make this a fun and memorable night for both the bride and her guests. 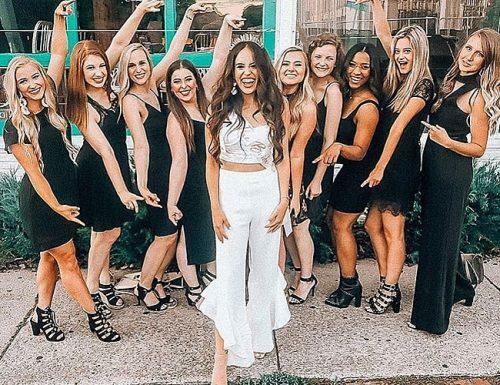 We have compiled a list of songs for the bachelorette party to help get you started including bachelorette party bus songs and even karaoke hits! Check out our list to give you some ideas on how to get the party started! NSync – Bye! Bye Bye! If you are looking for awesome bachelorette party music, you can’t go wrong with 90s party hits. From Spice Girls to Destiny’s Child to Backstreet Boys and NSync, there are literally dozens of 90s pop songs to which you can totally jam. Whether you are “Gettin’ Jiggy With It” or “Livin’ La Vida Loca,” you will be getting down on the dance floor! Some of the most popular bachelorette party songs are those that topped the charts in the 90s. Here are ten of the best party songs to shake it down at your bachelorette party! Don’t forget your tattoo choker and butterfly clips! Some of the best bachelorette songs are oldies. Whether you are a fan of 50s music, 80s pop early 2000 dance songs, you won’t run out of oldies but goodies to get everyone in the mood to part it up at your bachelorette party. From the Chiffons to Blondie to The Beatles or Boyz II Men, there is end an to a number of old-school classics to bring back some childhood, teenage or college memories to your playlist for your bachelorette party. Mix it up and throw in some of these classic hits for a night your girls will never forget. Old-school hits such as “Chapel of Love” by the Dixie Cups and “Toxic” by Britney Spears will never get old so get ready to reminisce about days gone by and get down on the dance floor! Of course, you have to include some country songs on your bachelorette party playlist. Country music has come a long way in recent years. 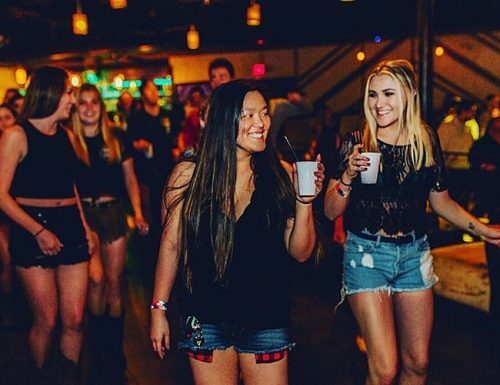 There are so many fun country dance songs to liven up your girls night out. Country line dancing is extremely popular and a great way to get everyone out on the dance floor. And some of the best drinking songs are country hits! Whether it’s “Two Pina Coladas” Or “Just the Tequila Talking,” get ready to get throw back a few shots and shake your thing on the dance floor! We didn’t forget top bachelorette party songs of 2018! You can’t have a bachelorette party without including some of the current hits! Even if you are not into today’s music, there is bound to be someone at the party who is a fan of today’s top 40. So we have pulled some of the best Billboard Hits of 2018 to compile a list of songs from 2018. From Robyn to Justin Timberlake, we got you covered! Who doesn’t love karaoke? Especially after a few rounds of drinks or some jello shots! Karaoke may have had its big break in the early 90s, but it is still going strong today! Nothing gets a party started like karaoke! The best part about karaoke is anything goes! You don’t have to sing like Rihanna or Lady GaGa to have fun at karaoke. All you need is some confidence, attitude and the right song! 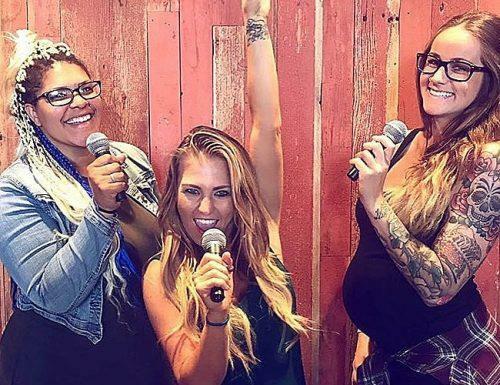 So check out our list of bachelorette karaoke songs and get up there and sing your heart out! Let’s not forget a hot playlist for the bachelorette party bus! If the party bus is your means of transportation, you want to keep the good vibes flowing from one location to the next. And chances are, the party bus might even be the place where the party is getting started. You will want to choose songs that are fun and upbeat. Remember to include some of the bride-to-be’s favorite party songs! This is her last big night out with her closest gal pals so be sure to include some songs that have special meaning with the bachelorette and her friends! Chances are if you are planning the party, you know her better than anyone to make this playlist personal and meaningful. 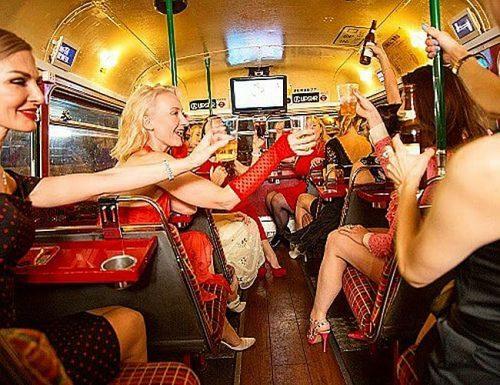 Here are 10 suggestions to start your party bus song playlist off with a bang! So there you have it! 60 of the most amazing bachelorette party songs for a night to remember! Anyone of these songs is a great way to set the mood for a wild and fun night out with the girls!